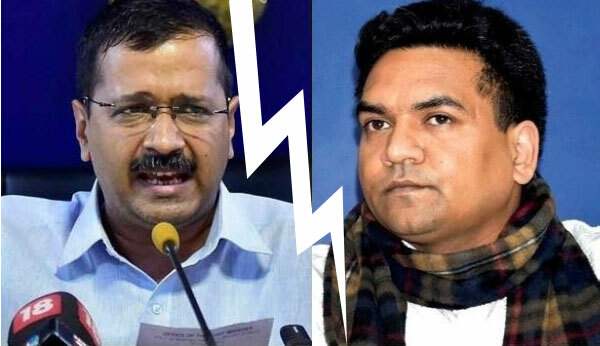 Kapil Mishra, recently sacked water and tourism minister, has leveled severe corruption charges on AAP supremo Arvind Kejriwal. Mishra alleged that he had witnessed Satyendra Jain giving ₹ 2 crore to Delhi CM Kejriwal in cash. Jain, a cabinet minister of Delhi government, is already being investigated by CBI for various irregularities and corruption charges. Mishra strongly hinted at connivance between the CM and Jain. In intra-party tussles, stars have always backed Kejriwal. He, so far, succeeded booting out the ones who questioned him or his decisions. But, situation in politics, like planets in sky, changes quite rapidly. Kejriwal is known for taking u-turns on various issues. Perhaps, he is fond of retrograde motion a lot. The then anti-corruption crusader Kejriwal swore that he would not enter into politics. But that’s history. Now, he’s the CM of Delhi. He alleged foul play in Gadkari’s companies, but submitted written apology for it later. And the list goes on. However, it was established that he was an honest man. Now, the charges leveled by Mishra, confidant of Kumar Vishwas, has stirred hornet’s nest in AAP. Kejri’s credibility is at stake and party, as rumored, is heading toward a split. As per the astrological analysis of Aam Aadmi Party’s birth-chart, it’s going through the major period of Venus and the sub-period of Mars. In Vedic Astrology, Mars, Sun, and Rahu are considered separative planets. In natal chart of AAP, Sun and Rahu are posited in Scorpio, the zodiac sign of Mars. This combination makes Mars even more divisive. As always (well, not always. Mostly. ), Saturn has to play spoilsport. It is aspecting Mars and this Yoga is bound to create more troubles for embattled AAP. 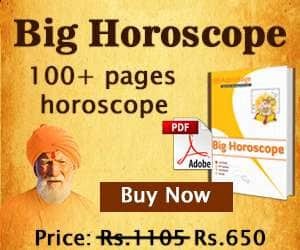 Astrologically speaking, there is no doubt that Aam Aadmi Party is going through one of the most difficult times since its inception. The possibility of a split in the party cannot be ruled out. The Yogas suggest that simmering discontent amongst AAP MLAs can start a chain of events, which might be precursor of an imminent split. And it’s also quite evident, especially after the drubbing AAP has got in Punjab, Goa, and Delhi municipal elections. Well, we can suggest some remedies if CM Arvind Kejriwal or Deputy-CM Manish Sisodia approaches us. Nice astrology. It seems that Kejriwal Ji has to fight a tough battle now.